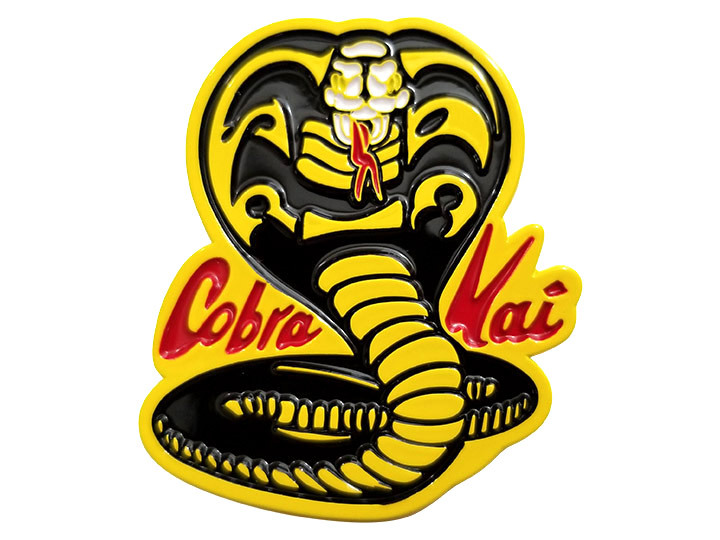 Icon Heroes presents the Cobra Kai logo enamel pin! You won't need to win any All‐Valley Tournaments to wear this Cobra Kai pin. Made of soft enamel, this pin measures 2 inches tall and 1.5 inches wide. Strike First. Strike Hard. No Mercy.